Engela started her talk with grateful reminiscence of Wilhelm's generous help when she started to write. Deon, Wilhelm's brother, commissioned Stellenbosch composer, Hendrik Hofmeyr, to set 5 poems to music: 5 elegiese verse vir bariton en klavier. 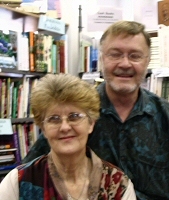 Deon Knobel was born on 5 April 1939 at Bethlehem. He was the youngest brother of the Sestiger poet, Wilhelm Knobel. Deon studied Medicine at the University of Stellenbosch (1956-58), where he was offered the Victoria Bursary for overseas studies, in 1964, which, due to personal circumstances he was unable to accept. Deon sang in the University Choir of Philip MacLachlan, and generally took part in the cultural life of Stellenbosch. He was a member of the Geneeskunde Studenteraad and on the editorial board of Potio medicata, the Jaarblad van die Geneeskunde Studente. He qualified in 1958 in Anatomical Pathology, obtained the Diploma in Forensic Medicine from the SA College of Medicine in the same year, and spent a life-time in Forensic Medicine and Pathology in Cape Town, and the last 21 years as Professor and Head of the department of Forensic Medicine and Toxicology at the Faculty of Health Sciences of the University of Cape Town. He was well-known in forensic circles, and also became known as a medical Activist in the fight for the Human rights of patients infected with HIV. He received a Distinguished Teacher Award from UCT in 2000, and is the author of numerous scientific articles in the fields of Forensic Medicine, Medical Ethics and HIV/AIDS. His three volumes of student manuals became well known and sought after in the field of Forensic Medicine and assisted many general practitioners in their studies to obtain the Diploma of Forensic Medicine from the College of Medicine of South Africa. The work on Wilhelm Knobel's oeuvre is continuing and most of his friends and colleagues of the Sixties have been traced and contacted for contributions to what will eventually become a Scrap Book biography of the life, times and work of Wilhelm Knobel and his colleagues of the Sixties. 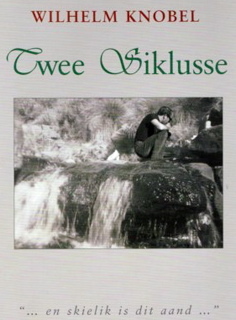 Die Twee siklusse is saamgestel en uitgegee as gedenkbundel op Wilhelm se 70e verjaardag herdenking op 26 Oktober 2005, ".. omdat daar soveel warmte, drama, patos en skoonheid in sy gedigte is dat die jonger geslag digters wat hom nooit geken het nie en die ouer geslag wat dalk al vergeet het, hom deur sy gedigte kan ontdek en herontdek. Hierdie twee siklusse verwoord, en soos Wilhelm dit moontlik self sou stel, verbeeld en verklank sy skeppingstalent as digter -- intiem verweef met die woelinge in sy brein en gemoed te wyte aan die bipolère stoornis waardeur hy sy hele volwasse lewe geteister is: die een -- sy skeppingsvermoë -- wat sonder die ander -- sy siekte-- nie sou kon bestaan nie. Deon Knobel. 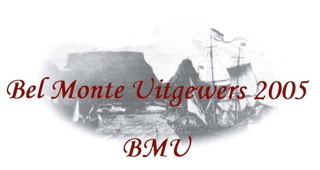 Bel Monte-uitgewery, Kaapstad, 2005. During 2006 two of my ex-students of medicine asked me�whether they could make a short documentary film about aspects of my life and work. Although at first very hesitant about the idea, they eventually persuaded me to agree. It led to two very prolonged interview/recording sessions on a whole Saturday and most of the Sunday that followed. It was�very�exhausting and emotionally draining. � From a total footage of more than 12 hours, Dr John Lazarus had the daunting task of editing it into a short film of no longer than 35 minutes. His idea of breaking it down�into six lessons turned out to be highly successful. In the end the whole project�turned out to be�rewarding and very �fulfilling. It�also is very revealing of aspects of my private life and work and even more so aspect sof my background, childhood and adult experiences. At an international AIDS congress in Montreal in 1989 Carol Lavafor, a woman in terminal stages of AIDS, opened the conference with the following words, which have become a motto of mine also whenever I have to give a lecture: "My grandfather who was a North American Indian medicine man told me as a very small child: If people speak with their hearts and people listen with their hearts, many wonderful things will happen. " She continued by telling the large scientific audience that she was speaking with her heart and hoped that they were listening with theirs. My invitation too you is to join us in watching the film in which I speak with my heart. Perhaps you would like to attend and listen to me with yours. ...en skielik is dit aand... is a documentary film which explores the eccentric life and compelling personality of a man who has lived in the shadow of death. 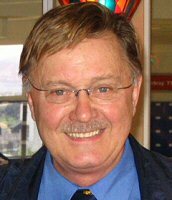 Deon Knobel is Emeritus Professor of Forensic Pathology at the University of Cape Town. He has performed over 20 000 autopsies in his 40-year career. 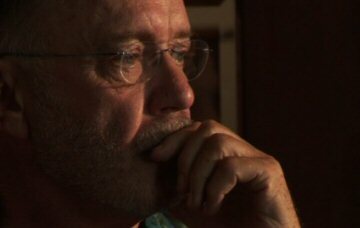 This interview-led film follows Knobel as he reveals his encounters with mental illness, murder and bereavement. Erudite and outrageous, his engaging narrative illustrates his struggles in a world of homophobia, AIDS denial and personal loss.